The German media regulatory authorities Die Medienanstalten (DLM), have published the 2017 edition of the Digitisation report. The research, commissioned by the DLM, analyses the progress of digitisation in Germany and highlights the latest trends in media consumption. The current status of the digitisation of television infrastructures and of the television and video consumption in Germany shows that in 2017 the rate of digitisation of television reception has risen to 93.5% and the rate of digital-only households now stands at 91.7%. By contrast, the share of households resorting to analogue signal reception is steadily declining. The digitisation of the cable infrastructure is taking a major leap towards the 90% mark. As to digital radio, the number of DAB+ receivers, DAB+ households and DAB+ consumption have gone up compared to last year. The pioneering phase of digital radio is slowly, but surely coming to an end. In compairison, the digitalisation of European TV households has also increased from 89% in 2015 to 91% in 2017. Currently, 230 out of the 253 million TV homes have digital TV reception resorting to one of the four modes of reception (satellite, cable, DTT, IPTV and/or DSL-TV). 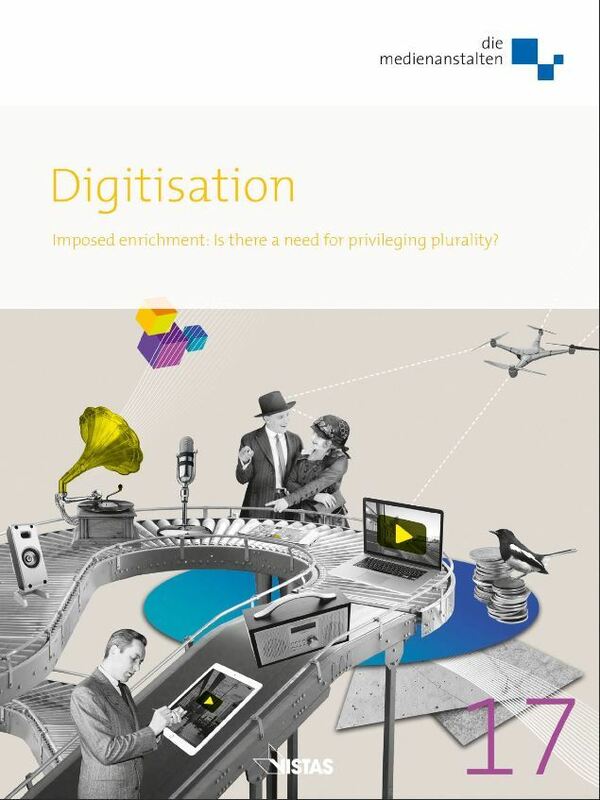 Finally, a special focus in this year’s Digitisation edition is put on the balance between pluralism and non-discriminatory findability. A debate is currently ongoing with the industry on the legislative proposal to amend the Interstate Broadcasting Treaty (which has been introduced in April by the State Chancellery of Northrhine-Westphalia). The proposal and the subsequent consultation process address inter alia the questions of ensuring balance for findability and of platform regulation.